Is It Necessary to Create User Friendly Websites for Americans with Disabilities? When people think of Americans with Disabilities Act (ADA) compliance, they typically think of a building with ramps to make it easier for wheelchair-bound individuals to access a particular building, or widening doorways to accommodate wheelchairs. But now, real estate professionals are faced with the task of updating their websites to make them user friendly to those with disabilities. In today’s market, so much commerce is being conducted online. An estimated 48.9 million Americans are disabled. 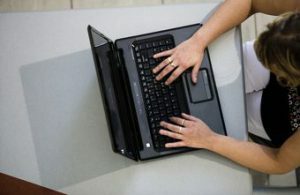 Given the amount of disabled people in America, many courts are finding that websites must be accessible to those with visual disabilities and other impairments. These findings are requiring many real estate brokerages and association websites to completely revamp their websites. The Americans with Disabilities Act (ADA) became law in 1990. It is a civil rights law that prohibits discrimination in employment, transportation, public accommodation, communications, and governmental activities of individuals with disabilities. The purpose of the Act is to ensure people with disabilities have the same opportunities as everyone else to participate in the mainstream of American life. One must have a recognized disability in order to be protected by the ADA. A disability is defined as a physical or mental impairment that substantially limits one or more major life activities. A person who has a history or record of impairment or one who is perceived by others to be impaired is also covered by the ADA. The ADA does not have an exhaustive list of disabilities that are covered. However, cerebral palsy, cancer, heart disease, mental retardation, and emotional illness are all considered disabilities covered by the ADA. Does the ADA Have Any Regulations on Online Content? The short answer is “no,” mainly because the ADA was passed in 1990, which predates the widespread use of the internet. Since there are no clear regulations requiring online accommodations for individuals with disabilities pursuant to the ADA, consumers and businesses look to the courts to determine the answer. In general, courts are split on the question of whether businesses are required to create an accessible website to individuals with disabilities. Nevertheless, there has been an accumulation of case law which asserts accommodations must be made. Further, the U.S. Justice Department, which enforces the Act, has indicated it is only a matter of time before a clear mandate of web accessibility under the ADA will be issued. How Do I Make My Website Accessible to People with Disabilities? If you want to make sure your website is ADA accessible now, there are several things you can do. If you have someone developing the content of your website, contact your website provider and inquire about the accessibility of your website. Ask your website provider if they are doing anything to create or improve accessibility to disabled individuals. If you operate your own website, consult a website technician who has experience creating or improving accessibility on websites. This would include creating more alternative texts accompanying images, transcripts for audiovisual content, descriptive links and resizable text, and voice-overs that read text aloud, among various other features. Such features would allow handicapped individuals to shop for absorb content like viewers without such handicaps. « Was Brock Turner’s Sentence a Slap on the Wrist?